When people talk about UK poker, there is no way Sam Trickett will not be mentioned. With a sponsorship gig with Everest Poker and a big win of $1 million Big One for One Drop, Sam is definitely one of the biggest European poker players of all time. This young poker player has a lot of winnings under his belt and managed to make a name at the World Poker Tour with his runner up finish at the World Poker Tour in Venice. This article has been dedicated to this special poker pro. In this article, we look at the early life, poker career, net worth, personal like, and various highlights of Sam Trickett poker games. It is definitely going to be worth your while reading this. Sam Trickett was born on the 2nd of July, 1986 East Retford, Nottinghamshire England. He is an English professional poker player and has been at the felt table for over a decade now. Sam is popular for his second finish and losing heads up to another poker pro, Antonio Esfandiari during the Big One for One Drop game at the World Poker Tour. At the end of the game, Sam Trickett finished in the second place and made a winning of over $10 million USD in prize money. According to report, he is currently the 12th highest earner of all time tournament play. The 32 year old poker pro has been playing professional poker for the past twelve years and he has become as famous as the best of pros in the industry. As a matter of fact, his fame and earning has so much impacted Sam Trickett net worth to the point that he lives the life of a rock star. According to him, he has won about £15 million in various tournaments and many more in other cash games. The highest winning that he has made so far in a day was about £7.6 million. Of course, this is huge! As it is popularly known, the world of poker or any other gambling game for that matter is a game of chance. In other words, you win some and you lose some. So, in as much as Sam has made huge winnings, he has also made huge losses. He has made a loss of up to £1 million in a day a couple of times. However, with his understanding of bankroll management, he has been able to restrict his losses to this. He ensures he doesn’t cross the line of £1 million at any game. According to him, if he feels he was going to lose more, he would feel uneasy and quit at the game in order to avoid losing more. According to various report, Sam Trickett net worth in terms of his poker wins is about £30 million. Trickett began gambling at the age of fourteen when he started playing pool at pubs. By the age of eighteen, he had started on the road to becoming a poker professional. He made his first win of £5 at the age of eighteen at a poker table. Two years after this, he became a professional poker player. Before turning to playing professional poker, Sam was working as a Scaffolder and at this period, it was quite difficult for him to find time to play poker with his job. When he made up his mind to become a full time poker player, he left his job and took poker game as his job. Interestingly, Sam’s dad was anti-gambling at the time Sam began to play poker. When he began playing full time, he went broke a few times and his bank manager had to sit him down and talk to him, advising him to quit gambling and do something less-risky with his money. His father was also on his case telling him why he needs to quit his gambling. Sam Trickett believed they had a point and they would be proven right in some circumstances. However, he saw beyond the losses he had made so far. He believed there was so much money to be won at the game because poker games requires strategies and skills and whoever has the skills and knows the strategies will definitely make a headway in the game. Sam knew all he had to do was understand the strategies of the game and develop his skills in order to make it big at the table. He believed that in the long run, he will end up making much money so he went against what everyone said and followed his dreams. Of course, his family was upset with him and this caused a bit of friction in the family. However, the family came around and understood him and left him to pursue his gambling dreams. Sam Trickett has played poker games across the world. He was also booked to play at the PartyPoker Live Millions UK event which kicked off in Nottingham, UK on the 29th of September, 2018. According to Sam, he doesn’t seem to get anxious when playing poker games, even when there are millions at stake. He has been able to train himself to understand the basics of gambling because only when a player understand that the higher the chance of their winning, the same goes for their losses can they play with a clear mind. Having this understanding makes a player keeps his cool when he is at a poker table. Born in July, 1986 at East Retford, United Kingdom, Sam Trickett has become a force to be reckoned with in the field of poker. Sam is best known for his second place finish at the Big One for One Drop World Poker Tour tournament where he made a winning of more than $10 million USD. Sam is one of the few poker professionals who have eight figures winnings to their names. 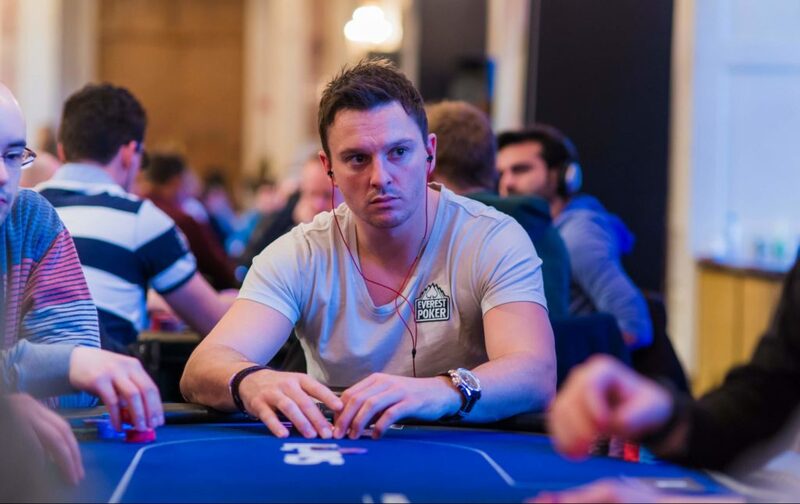 With this winning, Sam Trickett net worth significantly increased and the winning also helped him to become the 5th highest poker earner in tournament play of all time. During his appearances at various World Series of Poker tournaments, Sam made it to two final tables and has finished in the money about seven different times. The young professional poker player lost heads-up to Antonio Esfandiari at the Big One for One Drop and still ended up making a large earnings. Before turning to poker, Trickett was a professional soccer player. He later suffered a knee injury in 2005 which put an end to his career as a soccer player. After healing to a point, he turned to poker and has been playing professionally since he made his appearance at the poker world. He started playing poker regularly at poker events in Sheffield. In the year 2008, he made and appearance at the GUKPT Luton Main Event and made a winning of more than $215,000. In the year 2011, he also made some cash winnings of over $3 million USD in a single month by simply playing at super high buy-in small field poker tournaments. In the same 2011, Sam won the Partouche Poker Tour Main Event which took place in Cannes. He made a winning of £1 million at this event. As of the February of 2014, Sam Trickett net worth has increased to about $20 million USD, a total of which he made in live tournament winnings. Although Sam is yet to win any bracelet, but he has made a lot of winnings that some bracelets holders can only imagine. Over the course of his professional poker career, he has made it to two final tables and has finished in money seven different times. He has cashed six different times in the 41st WSOP (World Series of Poker) event. In 2010, Sam, alongside other professional poker players like Phil Ivey, Tom Dwan, and John Juanda, participated in a sequence of high stakes cash games in Macau. These cash games featured a number of rich Chinese businessmen. During an interview with Bluff Europe Magazine in January of 2011, Sam revealed that he made a winning of about £1 million in the games. He went on to say that he tried learning Mandarin during the games. Within a month in 2011, Sam cashed over $3 million and also took part in the $100k buy-in super high roller event at PCA. He won the $100,000 buy-in high roller event at Aussie Millions and made it to the second place in what was believed to be the biggest buy-in tournament in the history during the $250k super high roller event at Aussie Millions. In the November of 2011, Sam won the Partouche Poker Tour Main Event at Cannes, making a winning of £1,000,000. On the 3rd of July, 2012, he placed 2nd in the World Series of Poker (WSOP) Big One for One Drop $1 million USD buy-in event which happens to be the biggest buy-in tournament in history. At the end of the event, he won a huge $10,112,001 USD which makes him the All Time most successful Poker player in the history of Great Britain. After this record breaking winning, the interest of the British media about Trickett increased which culminated in the commission of the online documentary that chronicled the early life of Sam Trickett up to the time of his winnings at the One Drop event. In 2013, he won the $250k Challenge at the Aussie Millions of 2013. He won a total of $2 million AUD which added about $2.1 million USD to his total bankroll. All the winnings significantly influenced Sam Trickett net worth. In March of 2013, he finished in the second place position to another poker pro, Daniel Shak during the Premier League Poker VI at the Aspers Casino, London. At this event, Sam won a total of $200,000 for the runner up finish. As at January of 2018, Sam Trickett net worth from his total live tournament winnings totaled about $20.8 million USD which placed him at the 12th position on the All Time Poker Money List. He also holds the 1st position on the England All Time Money List. It is worth to note that in the big event where Sam Trickett won the second place position with earnings of $10,112,001, the first place position was won by Antonio Esfandiari. Antonio made a mind blowing $18,346,678 USD at the event. The winning made by Sam made him one of the very few players across the world who can boast of an eight figure earnings on their poker resume. Over the course of the years, Sam Trickett net worth has grown substantially. Of course, he has experienced some ups and downs in his professional career as a poker player. As a matter of fact, the beginning of his career was not smooth at all as he got broke to the point that his bank manager and family advised him to quit his poker career and get engaged with something more promising. However, Sam kept at his dream and refused to be swayed by the numerous failures and losses that confronted him. Thanks to his grit and determination, Sam Trickett net worth has significantly increased to about £30 million. He has experienced some great winnings as well as some losses. At some point, he was losing about £1 million at games a day. His father, who was really an anti-gambling individual at this time, strongly advised him to quit the game but Sam refused. What kept Trickett going at this trying time, with all the losses, was the belief that he has always had an edge in the game. He believed that all he needed to do at this time was to hone his skills and become better at the game in order to earn more money. Everything paid up in the long run as he is a well known professional poker player in the industry today. Sam Trickett is a member of PartyPoker and he is also one of the biggest names in the world of poker. He is also one of the biggest winners in cash games and tournament poker. He has made some exceptional winnings in the course of his career which include a runner up finish at the inaugural event Big One for One Drop. This is a $1 million USD buy-in tournament during the 2012 WSOP (World Series of Poker). At the end of this event, Trickett left with a huge winning of $10,112,001 which happens to be the biggest earnings in his career. Apart from the above earnings, Sam has also made various winnings at different tournaments and events in the course of the year. His live best cash so far was $10,112,001 and his All Time money earnings totaled $20,849,721. Within the first four years of his poker career, Sam cashed a total of forty one times, including ten cashes at the World Series of Poker. He made twenty nine final tables and won eleven events. In total, he has made over $6.3 million at World Series of Poker. During the 2007 Great British Poker Tour, Trickett cashed twice which made his first live event cash. He won at the £100 No Limit Hold ‘Em with a winning of £3,610. At the Grosvenor UK Poker Tour, he also cashed twice and won at the £300 No Limit Hold ‘Em where he won a total of £5,900. He cashed at the Opening Weekend Tournaments Nottingham of Dusk Till Dawn. In 2008, he cashed six times and won three different events. He also cashed at the Norwegian Poker Championships, he left with the 4th place winning of the $5,000 No Limit Hold ‘Em at the World Series of Poker and made a winning of $245,927. He also made other cashes at the Grosvenor UK Poker Tour. At this event, he won three of the total four events he cashed in. At the event, his winnings include the £1,000 Main Event where he won £109,050, £300 No Limit Hold ‘Em event where he won £12,760 and £7,700. In the year 2009, Trickett also cashed ten times and won three different events. He first cashed at the Deepstack, Nottingham, and also the Grosvenor UK Poker Tour. During the Grosvenor Victoria London Poker Championships and Unibet Open, Sam finished in the 10th place at the £2,500 No Limit Hold ‘Em Main Even and won £10,000. He also cashed twice during the Coral British Masters Poker Tour and won at the £200 No Limit Hold ‘Em with a winning of £4,580. He finished the year with additional three cashes at Late Night Poker event, Cardiff events, and PartyPoker World Open. In 2010, he participated in the World Series of Poker and cashed six times. He cashed in three different $1,500 No Limit Hold ‘Em events and made his best finish at the 17th position in one of the event and won $25,838. 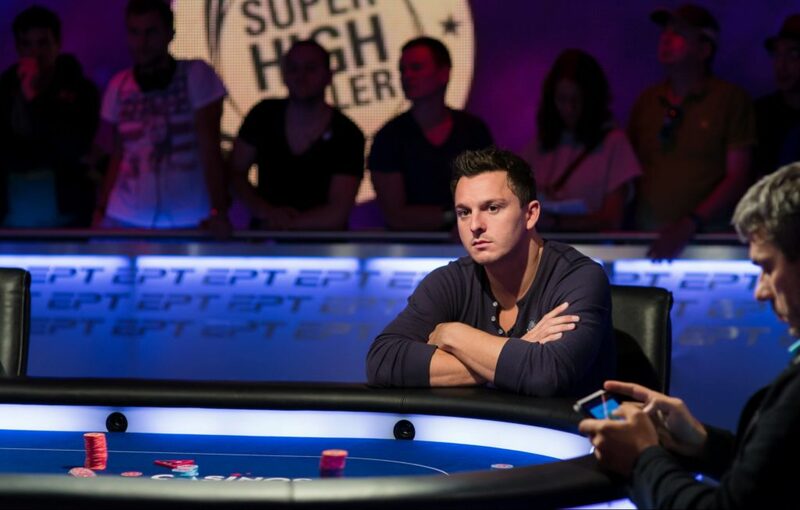 Sam Trickett biggest World Series of Poker cashes was at the $25,000 No Limit Hold ‘Em 6-Max. At this game, he finished in the 7th position and won $141,168 USD. He also made a runner up finish at the $25,000 No Limit Hold ‘Em and made a winning of $505,725. He ended 2010 with another winning of €139,681 when he finished in the 4th place at the European Poker Tour Vilamoura €5,000 No Limit Hold ‘Em Main Event. He also won the $10,000 No Limit Hold ‘Em at the PartyPoker World Open and took home $200,000 USD. By the end of 2010, Sam has won more than $1 million and he was regarded as the Best Newcomer in the poker world by the British Poker Awards. In the year 2011, Sam cashed a total of nine times. He won a couple of major events and made earnings of about $5 million USD. At this point, he moved into the Global Poker Index Top Ten. He started the year 2011 on a good note when he participated at the 2011 Aussie Million Poker Championship. He cashed twice at this event and made A$1,525,000 after winning the A$100k No Limit Hold ‘Em. He was also a runner up to Erik Seidel at the A$250K No Limit Hold ‘Em Super High Roller event. He made a winning of A$1,400,000. He also participated at the World Poker Tour Diamond Championship at EFOP in Paris where he finished at the final table of the €5k No Limit Hold ‘Em. He finished at the 6th place and won €43,545. He proceeded to the World Series of Poker where he cashed twice at the $1,000 No Limit Hold ‘Em events. In the month of August, he cashed at the inaugural Epic Poker League Main Event and finished in the 11th place with a winning of $49,360. The following month, he went to Cannes to participate in the Partouche Poker Tour. He made it to the final take of the €8.5k No Limit Hold ‘Em Main Event as chip leader. He completed the event in November with a resounding victory with earnings of €1,000,000. In the October of the same year, Trickett made it to the final table of the £20,000 No Limit Hold ‘Em High Roller Event at the European Tour/ UK & Ireland Poker Tour London. He finished in the 7th place and won £68,000. He ended the year at the 2011 World Series of Poker Europe in Cannes with a winning of €77,642. He finished at the 4th place in the €5k Pot Limit Omaha event. Sam announced his engagement in January of 2013. He got engaged to his long term girlfriend, Natasha Sandhu. The couple has been together for about 10 years before the engagement. However, in December of 2014, Sam announced the broken engagement with the couple going their separate ways. The break up seemed to be mutual and Trickett took to his blog at Everest Poker to talk about his relationship and feelings for Natasha. Sam mentioned that the ten year old relationship began to lose its excitement and the duo has grown apart over time. He hinted that the demand of his poker career which includes travel and consistently being at the table has take its toll on their relationship and this has ultimately led to the breakup of the couple. According to him, the breakup was one of the toughest decisions he has ever made in his lives. It is important to mention that Natasha has also been involved in poker games for a bit. In 2016, Sam got married to his new girlfriend, Mieke Dockley and the couple currently live in the Countryside of East Retford. Sam owns a customized Bentley continental and he is undoubtedly enjoying his life to the fullest. According to him, the job he has (poker) requires that he spend a lot of money since he is making enough of it. He has a custom-made Ferrari which he bought for £275,000. He also has a Range Rover which cost him about £120,000. According to Sam, it is hard for him to live a normal live, especially when you consider the fact that he has won as high as £7.6 million a day while playing cash games. He admitted that he has somehow found a balance between living a regular life and playing high stakes poker.